We are counted amongst the prime Stainless Steel Instrument Trolley Manufacturers, Exporters and Suppliers in overseas markets. 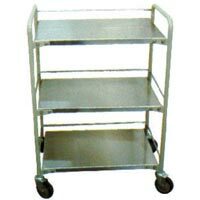 Made from optimum quality Stainless Steel material, our Instrument Trolleys are highly demanded in various medical institutions. 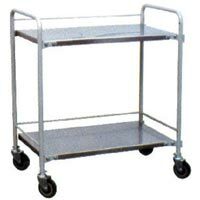 Further, clients can avail Stainless Steel Instrument Trolleys at market leading rates from us. A 60 x 46 x 81 cms. B 76 x 46 x 81 cms. C 90 x 60 x 81 cms.